1. A preacher and his wife are very, very poor. They already have 14 kids. Now she finds out she’s pregnant with 15th. They’re living in tremendous poverty. Considering their poverty and the excessive world population, would you consider recommending she get an abortion? 2. The father is sick with sniffles, the mother has TB. Of their four children, the first is blind, the second has died, the third is deaf, the fourth has TB. She finds she’s pregnant again. Given this extreme situation, would you consider recommending abortion? 3. A white man raped 13-year-old black girl and she’s now pregnant. If you were her parents, would you consider recommending abortion? 4. A teenage girl is pregnant. She’s not married. Her fiancé is not the father of the baby, and he is upset. Would you recommend abortion? 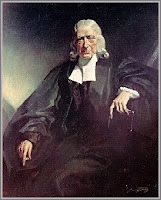 In the first case you would have killed John Wesley, one of the great evangelists and reformers in the 19th century! 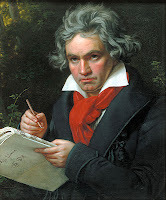 In the second case, you would have killed Beethoven! In the third case, you would have killed Ethel Waters, the great black gospel singer. 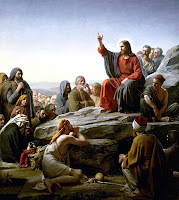 If you said YES to the fourth case, you would have declared the murder of Jesus Christ! God is the author of life, and He has given every single individual supreme value. 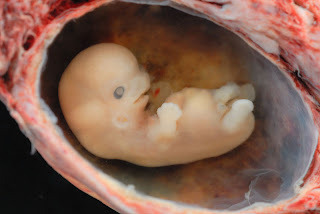 Each life – whether inside or outside the womb- should therefore be valued by us. God knows the plans He has for each individual and has written in His book all the days ordained for us before one of them came to be. When we presume to know better than God who should be given life, we are putting ourselves in the place of God and are guilty of idolatry. A beautiful blog. I thank you for I know I am a better man for reading what you share. Thank you, very inspiring. Greetings and best wishes from Australia. Thank you Edward, very much, for your encouraging comment!